Keep your truck from flipping on its lid with our Billet Machined Type III Wheelie Bar. This version is designed for 1/10-scale Traxxas Slash 2WD, Stampede 2WD, and Rustler XL5/VXL trucks. 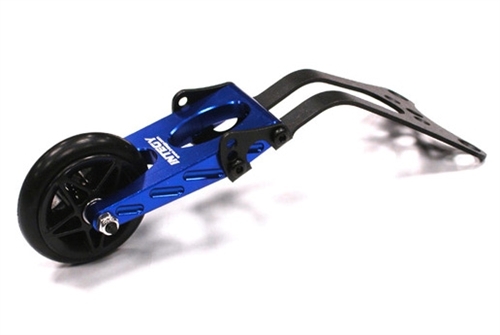 The wheelie bar features an aluminum alloy and steel frame that bolts securely to your truck chassis, and a removable wheel that can be upgraded with ball bearings, or easily replaced. The Type III wheelie bars are available in five colors.